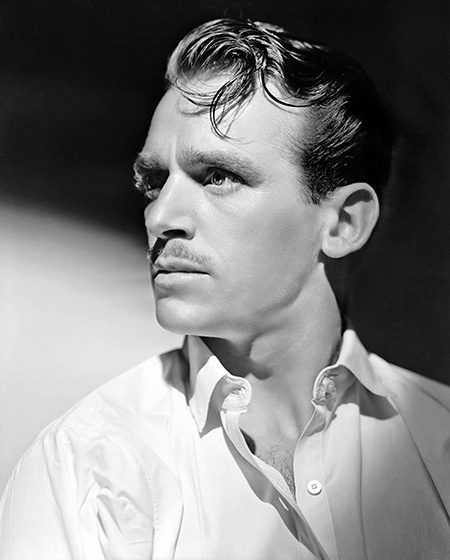 It can be hard to maintain the metaphor of Hollywood Royalty in the fickle world show business reality, but by any measure, it would be hard to deny that Douglas Fairbanks Jr was a Prince of Hollywood. For one thing, he had the lineage to be called a prince, Fairbanks Sr, and his second wife, Mary Pickford, were the original Hollywood "Power Couple", not only starring in silent movies but along with Charlie Chaplin and D.W. Griffith founded United Artists so that they could maintain financial and creative freedom from the commercial studio system (Fairbanks Sr's films kept UA afloat in the years after its founding). Fairbanks Sr was best known for creating numerous swashbuckling roles, leading the way for actors like Errol Flynn, Tyrone Power, Basil Rathbone, and his own son. 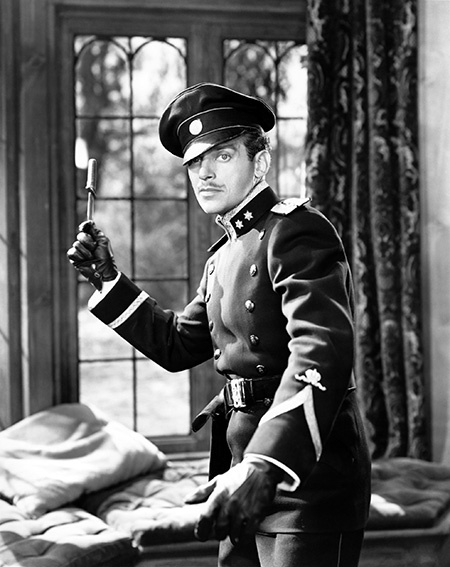 Unlike the other great swashbuckling stars, Douglas Fairbanks Jr "buckled more than a few swashes" in real life! Fairbanks Sr established himself on Broadway between 1902 and 1908, and along the way, he wooed and married Anna Beth Sully, the daughter of a Rhode Island industrialist. Their only son, Douglas Jr, was born in New York City, 1909, and the family moved to Hollywood in 1915. Fairbanks Sr quickly established himself as one of Hollywood's first icons with films like American Aristocracy (1916), A Modern Musketeer (1917), The Mark of Zorro (1920), The Three Musketeers (1921), and Robin Hood (1922). He began his affair with Mary Pickford in 1916, and Anna Beth granted him a divorce in late 1918 (Pickford was also married at the time). Douglas Jr moved with his mother to New York, Paris, and London. He attended a military school in New York before entering the Pasadena Polytechnic Institute in California. He excelled at academics and developed a love of the arts, becoming a proficient painter and sculptor. He was just 14 when Paramount Studios, likely hoping to capitalize on his father's name, signed him to a film contract. His first effort, Stephen Steps Out (1923) was a flop, but Douglas Jr soon proved a talented and versatile actor, appearing in Stella Dallas (1925), An American Venus (1926) and Women Love Diamonds (1927). He carefully refused swashbuckling parts in the early years of his career to avoid comparison with his father. As the Silent Era drew to a close, Fairbanks was cast to co-star with up and coming Joan Crawford in Our Modern Maidens (1929). Fairbanks and Crawford began seeing each other and were married in the Actors' Chapel at St Malachy's Church (although neither were Catholic) on June 3, 1929. Relations between Fairbanks Sr and Crawford were cold at first, he accused her of "cradle robbing" (she was five years older than his son) and the couple were not invited to Pickfair for eight months after their wedding, she eventually won over her father-in-law, but relations remained strained between Crawford and Pickford. While his wife was becoming the darling of the MGM lot, Fairbanks signed with Warner Bros where he was convinced to try his hand at a few adventure films (if not quite outright swashbucklers) beginning with Dawn Patrol (1930), Outward Bound (1930) and Little Caesar (1931). He supported several of Hollywood's most desirable leading ladies during this period, including Bette Davis, Loretta Young, Mary Bryan, and most notably, Katherine Hepburn. Jack Warner took his advice when Fairbanks pointed out a rising Australian actor, Errol Flynn. His marriage to Crawford ended in divorce in 1933 (he was just 19 at the time of the wedding), and when Warners' asked their contract Stars to take a 50% pay cut in 1934 because of the Great Depression, Fairbanks refused and was sacked. Douglas Jr was offered work in Great Britain and he made films there until David O. Selznick coaxed him back to Hollywood by offering the role of Rupert in The Prisoner of Zenda (1937). His biggest hit was in Gunga Din (1939), and his last film before the War was The Corsican Brothers (1941). Fairbanks was thirty-years-old but itching to do "something" to strike at Hitler when he accepted a reserve-commission in the Navy in 1940 (he went through officer training school with his friend Robert Montgomery). He took great pains to avoid any special treatment because of his movie-star status, but as a friend of FDR's, he was tasked with occasional diplomatic duties. Fairbanks was aboard the USS Wichita while escorting the ill-fated convoy PQ-17 (during the summer of 1942, 24 of the convoy's 35 merchant ships were sunk by German forces). While assigned to Admiral Lord Mountbatten's Commando staff, Fairbanks chose to undergo the rigorous British Commando training (which was far from expected, given that he was assigned as an observer). He also learned beach harassment and military deception techniques, which he brought to US Admiral Hewitt's attention when he was reassigned to his staff in Virginia Beach. As Hewitt was preparing for the Invasion of Africa, Fairbanks convinced him of the value of a Naval Deception unit. 180 officers and 300 enlisted men were recruited for what would become the Beach Jumper Program. Lt Fairbanks was too junior to command the entire Program, but he did lead a unit consisting of ten plywood Air-Sea Rescue boats (essentially PT Boats without torpedo launchers) which were fitted with pyrotechnics, smoke machines, lighting fixtures, and high-powered sound equipment designed to fool the enemy into believing that an amphibious invasion force was just outside the surf line. The Beach Jumpers were named for their ability to quickly hit the beach and cause trouble, although some said their job was to simply "scare the be-jesus out of the enemy". The Beach Jumpers first saw action during Operation Husky, the Invasion of Sicily, and spent the remainder of the War making life uncomfortable for German naval units in the Mediterranean. Post-War Hollywood, however, had little use for Douglas Fairbanks Jr. His come-back vehicles, Sinbad the Sailor (1947) and That Lady in Ermine (1947) did little at the box office, and he began spending more time at his estate in Great Britain where he was made an honorary Knight-Commander in the Order of the British Empire in 1949. During a return to Hollywood, his production company, Doug-Fair Productions, contracted with NBC to record several episodes of The Silent Men. The series profiled missions, often behind enemy lines, by agents of the various intelligence and law enforcement agencies during and after the War. Along with commandos, narcotics agents, immigration officers, postal agents, CIA men, and Secret Service operators were profiled. 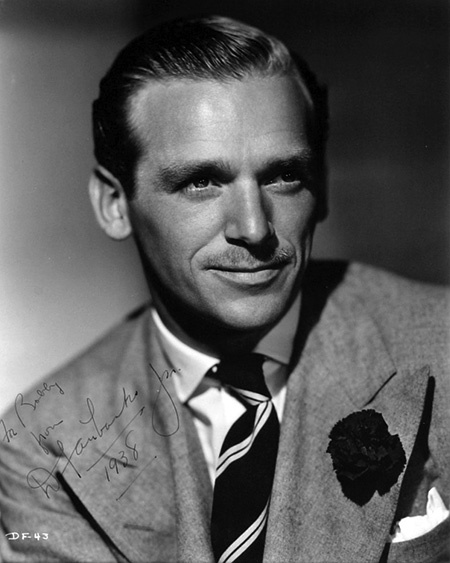 Douglas Fairbanks Jr passed away from a heart attack on May 7, 2000. He was 90. Three Stars on the Hollywood Walk of Fame recognize contributions by Douglas Fairbanks Jr, one at 6318 Hollywood Blvd for Motion Pictures, for Television at 6665 Hollywood Blvd, and at 6710 Hollywood Blvd for Radio. Since I got my first order from you about a month ago my tv has been complaining it's being neglected. Woody Allen was a little too pessimistic in his movie 'Radio Days', otr isn't as forgotten as he seemed to think it would be. His book "A Hell of a War" is a good read. He makes it clear that he's no hero, just someone doing what they feel needs to be done.